Gigi's Coffee and Cupcakes have been there for quite a while. I met up with my sister one Friday at Gigi's to have coffee while waiting for her meeting near the area. Gigi's have a nice selection of cupcakes and other pastries. Their location is quite small but very homey. My sister ordered Hot chocolate with her Sea Salt Chocolate Cupcake. 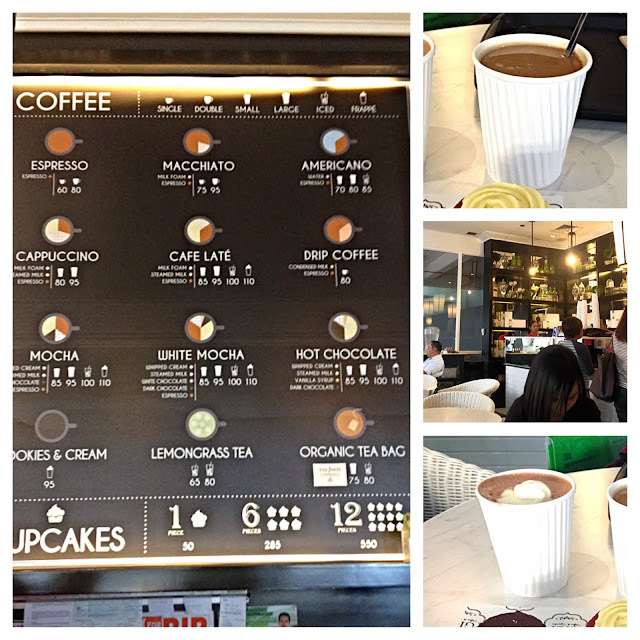 I wanted to order Macchiatto but learning it is served as shots, I just had the good old Americano. If you are not a coffee person, it would be easier to order with their detailed menu. It clearly states what is in the coffee and the amount. Would you believe it is my first time trying red velvet? Yes it is. Gigi's Red Velvet Cupcakes were moist and sweet. 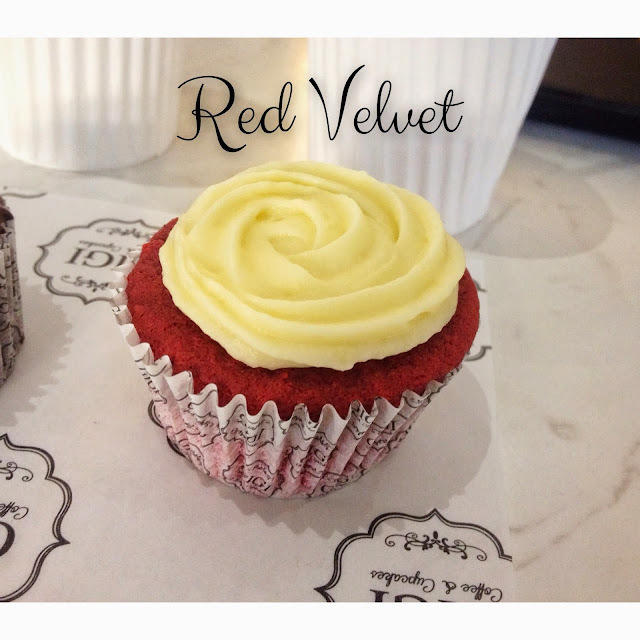 I need to do some research more about red velvet. I tasted my sister's Sea Salt Chocolate Cupcake and it is also moist but not as sweet as the red velvet. 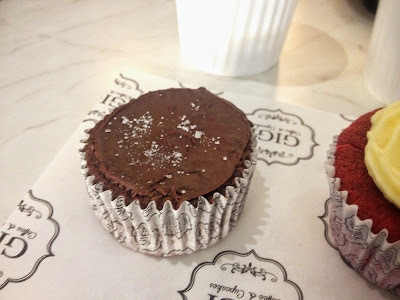 I didn't sense any saltiness, but the chocolate was just great, not too bitter but not too sweet. There are also interesting flavors of cupcakes on their shelves that day. I had a hard time picking which one to try. 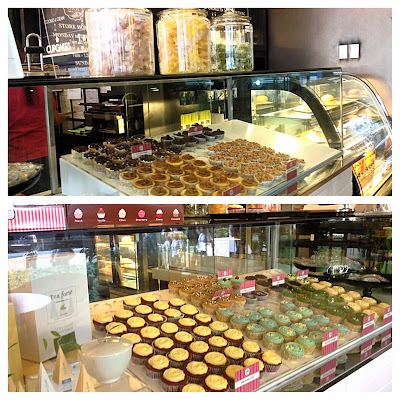 As for their coffee, of course it goes well with their sweet cupcakes. I'll definitely go back to try the other flavors. I was wondering if they also sell Custaroons. Gigi's Cupcakes would be my go-to pasalubong to my parents and sibs in Laguna (in place of my usual Krispy Kreme Doughnuts).